Let’s face the fact: Lots of rummy players have an incredibly tough time to maintain a good bankroll. Even the best of the players suffer a burn in their bankroll often. No matter how good you are, how hardworking you are, suffering bankroll burnouts seems a part of this game. It’s not uncommon to see the best of players, who toiled so much to build a solid bankroll ruin it in a game or two with bad decisions. A lot of players suffer bankroll burnout because they do not follow the thumb rule of playing rummy. The thumb rule is always to play within your bankroll. In gambling terms, overspending can be explained with an analogy known as Gambler’s ruin. In Gambler’s Ruin, two players go head-to-head in a game that has a level playing field. One plays with a finite bankroll, and the other one has infinite to gamble with. 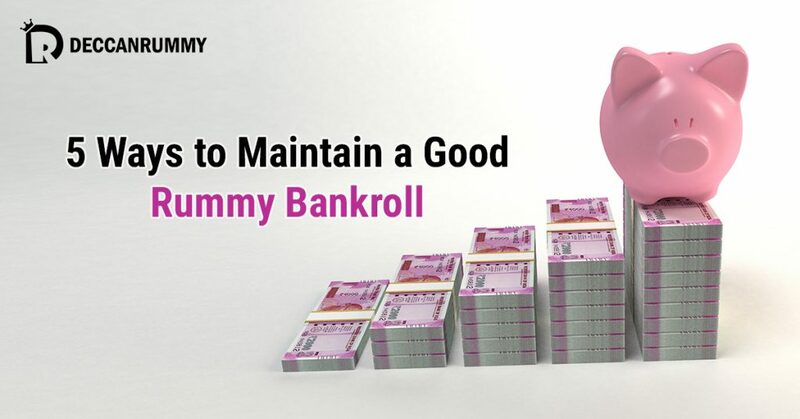 In due course of time, the player with a finite bankroll goes broke considering the ups and downs of the rummy game. Unfortunately, building an infinite bankroll is outside the realm of the rummy game. The best way to curtail losses would be not to exceed 5% of your bankroll every game. Ensure whatever you spend per game does not exceed 5% of your available bankroll. 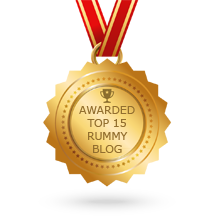 People who know when to stop are more likely to be successful in rummy. If you are following the first rule, then you got your job half-done. We all play the game with the comfort of knowing how much money is available in our account in a split second. However, it could play a spoilsport on our chances. When you are in a winning streak, everything appears fine and dandy. It’s heartening to see our bankroll grow and we feel immensely proud. However, when the knife turns the other way around i.e. when you start losing you get jittery and you want to regain whatever that you lost. So, you are beginning to chase losses in other words. This is a step towards self-destruction. Chasing loss is considered to be suicidal in the rummy game. Rummy is no fun. It’s a serious game that requires your utmost concentration and attention. The game requires a great deal of skill and a sound knowledge of mathematical/analytical concepts. Players who do not take the game seriously are bound to suffer huge losses. Limit Distraction – Distractions kill your concentration and do not allow you to focus on the game completely. Find a space that is calm, serene and ideal for playing the game. Some people are good at multi-tasking but a lot of people are not. So, it’s better if you find a way to keep the distractions away. 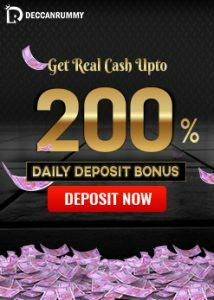 Don’t play to kill your boredom – You play rummy because you consider it as a passion, or you are here to win money online. If you are taking it as a hobby to kill your boredom, chances are that you do not take the game seriously. Classic Rummy is entertaining, no doubts. But a lot depends on how good your opponents are. If your opponents are dull, then you would probably make some dumb moves to up the ante. And at most times such actions become the reason for your undoing and hurt your bankroll big-time. No matter how good you are in the game, it does not make you a super-human. Just like all other humans, you do need some upkeep and maintenance to keep going in the long run. a.) Hunger – Do not play when you are hungry. When you play while you are hungry, your thinking pattern is affected. You will not be able to give your best on the table. b.) Posture – Posture matters a lot in a rummy game. An erect posture with a still head is important to maintain concentration in the game. Do not play falling back or by sitting in a clumsy position. c.) Energy levels – It’s important to keep your energy levels high while playing the game. If you’re playing the game exhausted, you’re not playing your best game. If you are not playing your best game, you are losing money. Though tilt is a term that is associated with Poker, it is very relevant to rummy as well. Tilt is a poker term for a state of mental or emotional confusion or frustration in which a player adopts a less than optimal strategy, usually resulting in the player becoming over-aggressive. If you are in a state of Tilt, put a stop right there. No point in continuing your game at the expense of your bankroll. Log off, get away from your tables and engage in something that brings you fun and happiness. If you follow all these rules diligently, then you have a fair chance to win games more consistently. Should you break any of these rules, then all the points mentioned will follow sooner than later and would sink your boat collectively. Remember, there is always a tomorrow. Going by the rate online rummy industry is growing, there will no shortage of a platform for you to play anytime sooner. 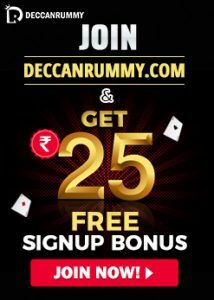 There’s always exciting rummy bonus offers and thrilling tournaments to bring you back anytime. Exercise prudence and play smart game always.